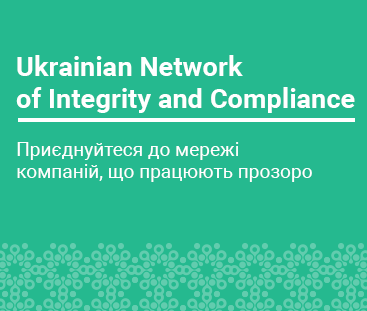 In one of my previous posts I have argued that currently investigation and public prosecution in Ukraine significantly impairs positive changes in counteracting corruption. In doing so I relied mainly on two existing phenomena: (1) monopoly of law enforcement authorities over investigation, in particular evidence collection as well as prosecution, and (2) old soviet style of conducting investigation. In this post I would like to think of how to address that blame. It appears logical to think that to overcome the phenomena which create a bottleneck of anticorruption enforcement we shall consider two approaches: (1) stop monopoly of ineffective and disincentivised law enforcement authorities for investigation and prosecution of criminal cases, or/and (2) to substantially change law enforcement authorities and their practices. As already mentioned in my previous post, the second approach demands time. Reformation of Prosecutors office under Mr. Sakvarelidze may take a year or so. Although Anticorruption Bureau was established and it’s Head, Artem Sytnyk, was appointed 16 April this year, but the Bureau is not yet ready to perform its tasks and the practice will have to be created. Internal affairs are subject to reformation under Deputy Minister of Internal Affairs – Ekaterina Zguladze. Security Service of Ukraine perhaps undergoes changes under Valentin Nalyvaychenko. So, there are pretty high expectations from both business and society and we all can witness how things evolve. While reformation of law enforcement authorities and their practices requires waiting and brings success uncertainty I would immediately move to the first approach - stopping law enforcement monopoly. How can we stop the monopoly? By introducing private competitors to public functions. And one such competitor is “private prosecution” mechanism as an alternative to public one. Although private prosecution exists in some developed countries, unfortunately it does not exist in Ukraine. For example, in USA and Canada, there is an alternative access to the court to decide on certain criminal wrongdoing. To avoid speculation around terminology I will define private prosecution as – investigation and prosecution led without state investigators and prosecutors. Not to leave these functions with ordinary people to handle, I suppose the best version of private prosecution is when an investigation is conducted by a detective, while prosecution is taken care by an attorney in the court of law directly. It was unexpected for me to know that light version of private prosecution concept (without detectives in the picture) was previously already incorporated in Ukrainian criminal procedural code some time ago for some short period of time and few mature colleagues praise it until today. Currently, the idea of private prosecution is being promoted by Vladyslav Sokolovskyi, attorney at law. He lobbied this idea in professional circles and even pushed it to the Parliament to become a draft law (No. 1165 of 02.12.2014). Ironically, the Parliament left the name of the draft law related to private prosecution however completely changed the concept leaving the bottleneck over investigation and prosecution unattended. Indeed there may be the logic of keeping the status quo with the monopoly for various reasons, however in my best understanding private prosecution may eliminate the bottleneck of anticorruption enforcement. As a conclusion to this topic I will leave you with a food for thought i.e. a few open questions which you can answer yourself based on your experience and practice. What would the world be like if we allow private prosecution? Will it be a better world? Will ethical business and society groups be able to stop the criminal corrupt misconduct? Will this free up state resources improve quality of state investigation and prosecution? Will this create an additional cost of doing business? Will private prosecution be used as harassment tool against public authorities or business against business? Will rights to private life be negatively affected by allowing detectives and attorneys to collect evidence in the same manner as investigators? Will competition lead to incorporation of better standards by investigators and prosecutors? Will they learn from private detectives? Will this be used by corrupt businesses to outcompete the innocent? Will private prosecution create more problems and confusion? Is it the right time for Ukraine to go there? What shall be the right time then?